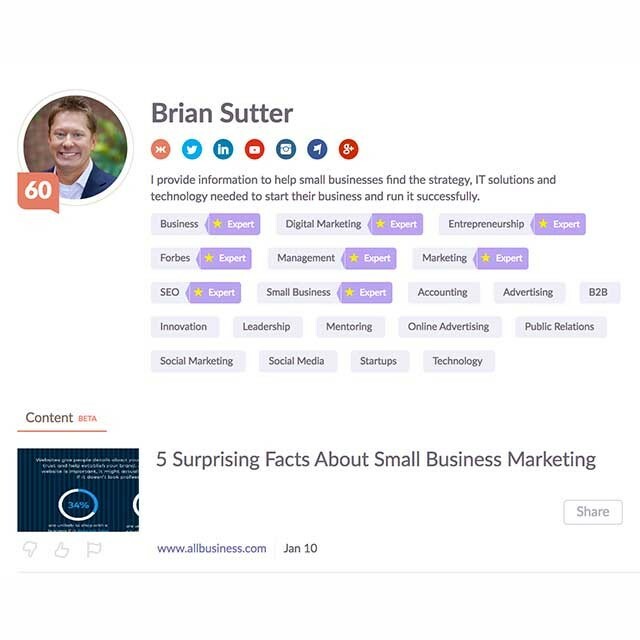 At its most basic level, social selling is similar to networking via social media… except it’s a little different. To understand how it’s different may require some rewiring of how you think about social media. You need to understand what social media is good for, and what it’s not good for. Social is a medium for connections – not for broadcast advertising. It’s a channel to build an audience and influence – not to send out thousands of spammy messages to people who have never heard of you or your business. 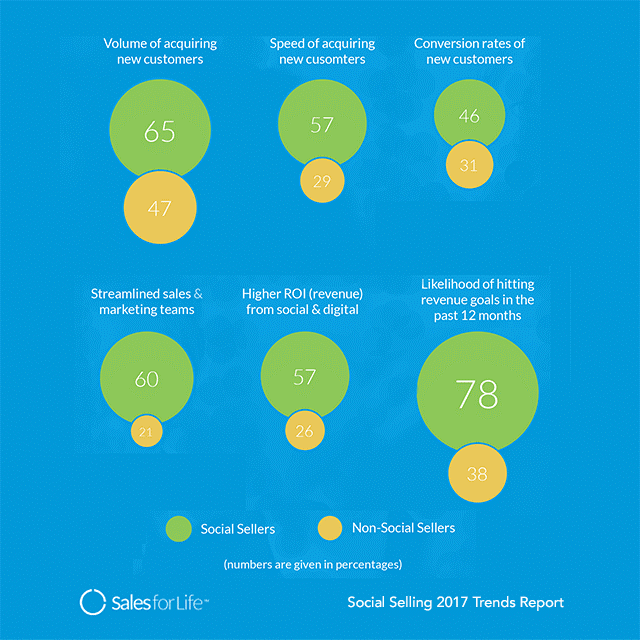 To give you an idea of how social selling fits into a social media strategy, let’s look at how most businesses develop their social strategy. You post to these accounts every week or so. You follow other people and organizations on social. You respond to customer feedback or complaints on social, but sometimes it takes a few days to get around to it. You begin to share other people and organizations’ content, in addition to your own. You begin strategically paying for some of your content to get expanded reach. You are investing enough in social media to start to take it seriously. You believe it can get results. Customer service on social media becomes a priority. You reduce how long you take to respond to customer complaints and feedback to a day or less. You realize it’s okay to show your brand’s personality online, and to show people what it’s like to work at your company. You realize there is a human resources dimension to social. It could help you find good hires. You become more adept at building an audience, and learn how to get that audience to respond. You may also develop personas to target for audience building (which is another level of sophistication that marks a social selling program). 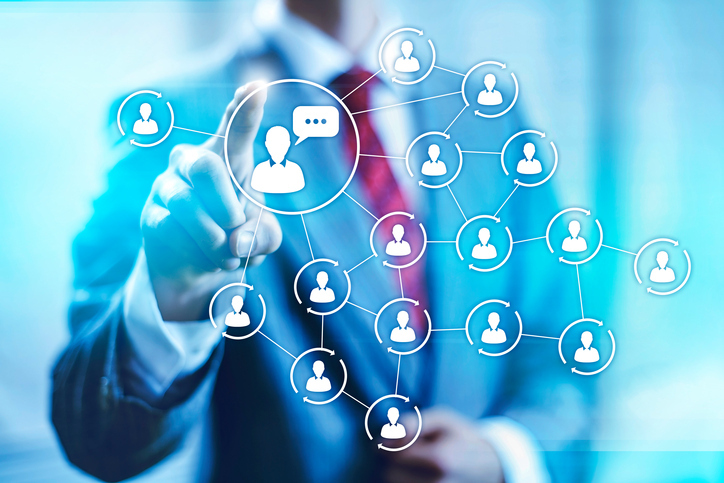 You, or some of your sales staff, begin to build personal followings that may overlap a bit with your company’s social media audience. You begin to position yourself as an authority and an influencer in your industry or niche. You begin to see your audience building/social media work as preliminary lead generation. You may begin to use some marketing automation to nurture the people who behave like potential leads. You evolve into full-blown social selling. Specifically: You begin to strategically nurture relationships with some of these leads. You do this not by sending them direct messages or LinkedIn Inmails bluntly pitching your services, but by sharing information that would be useful to them. This information - and the messages you send to gradually build a relationship over time - have no or very little sales messaging in them. You realize that your prospect/new friend is keenly aware that you have a product or service they might someday want to buy. You are aware that your prospects/leads/audience is super-sensitive about sales pitches, and they tend to tune them out, if not overtly run from them. Trying to do the hard sell with these people will only erode the trust you have worked so hard to build. So, you do not push the issue. You make yourself useful and be friendly. You do this in such a way that when members of your audience are ready to buy, you’ll be the first person they think of. You maintain your relationship with them via social media (and perhaps a coffee at a conference or two), ideally personalizing every message you send them so they feel like you’re being genuine, not just moving them through a sales machine. Of course, some companies will skip steps in this continuum. And some companies may accelerate through phase one to ten in a week, if they have a culture and a staff that is social media savvy. But in general, that list is roughly how things evolve. So, as you can tell, social selling requires some finesse. As good networking always has. And while the primary channel that social selling is done through is obviously social, good social selling builds so that you can email people, too. Or even meet a few people in real life. As you build your influence and reach online, you become an authority. A trusted person. And that trust is an essential ingredient to making a sale. Managed well, it can absolutely translate into more sales for your small business. Almost everyone needs to be thinking about their level of influence online. In many ways, it’s the currency of social media, and of business, too. And given that so many small businesses are already having success with social media, it seems like to time for more small businesses to evolve towards a social selling model.